The faculty and staff of the Department of Chemistry are dedicated to the creation and dissemination of knowledge in all aspects of the chemical sciences. We strive to enable students to make meaningful contributions to our diverse, technological society and to improve the lives of the citizens of the Commonwealth of Kentucky and beyond. 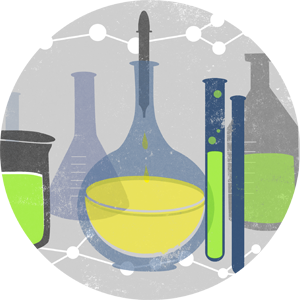 The short-term goals of the Department focus on improving the educational experience in Chemistry at the undergraduate and graduate levels and on enhancing the Department's long-term contributions in research and service.